Curious objects up at auction. 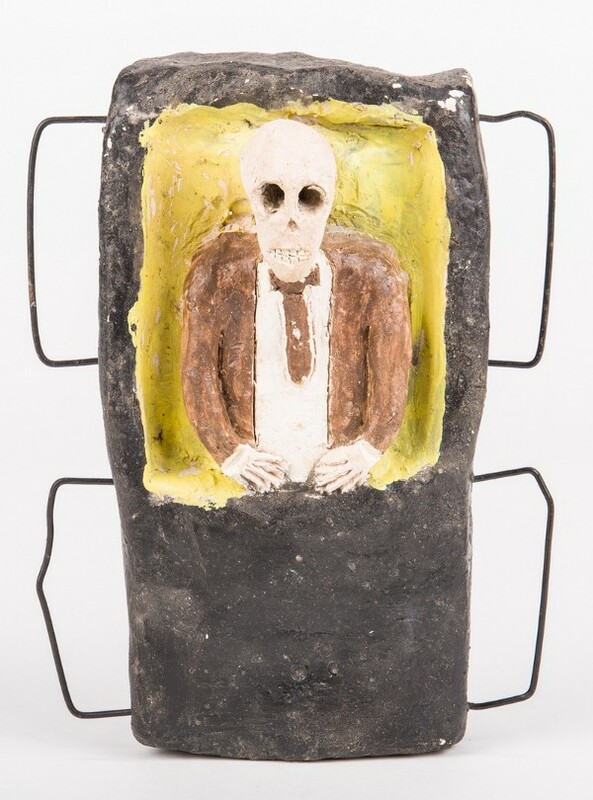 It looks like something straight out of Beetlejuice — a mixed media and clay sculpture roughly the size of a hardcover book that depicts a skeleton in a suit emerging from, or half-sitting in, his coffin — and valued for auction at $400–500, it might be dismissed as a novelty of little notice. But digging just a little deeper turns up its fascinating origin. This spooky piece of folk art was crafted by Mississippi blues musician, gravedigger, and self-taught artist, James “Son” Thomas (1926–1993). Known in some circles for his figures of heads, skulls, and coffins, Thomas’s art has been displayed in various museums, though he remained overlooked in his lifetime. The New York Times took note of his work in 2015, calling it “wonderful and unappreciated,” and comparing him to Walker Evans. This piece had been in the collection of the Arts Center of Cannon County, Tennessee, but they have curiously decided to ditch it, so Case Antiques Auctions & Appraisals in Knoxville will offer it for sale on August 5. 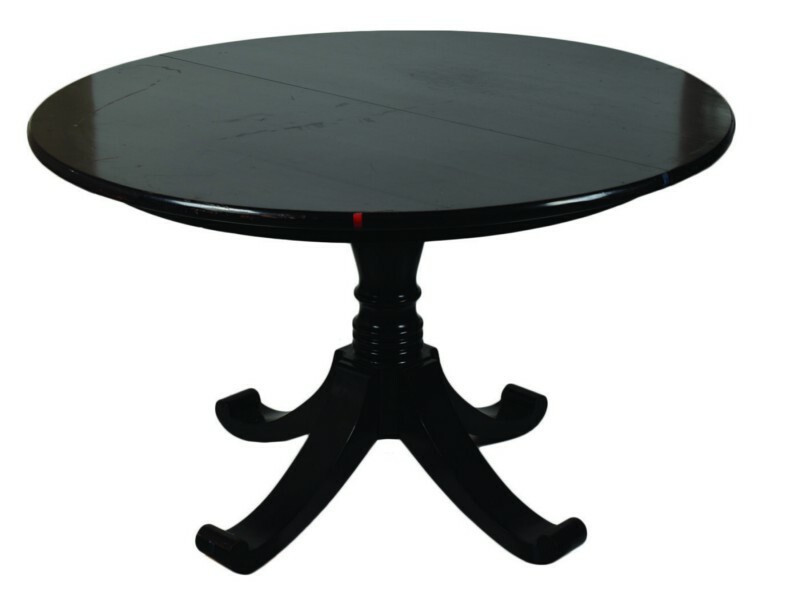 This might look like a pedestrian pedestal table from Crate & Barrel — and yes, it really is from Crate & Barrel — but this “piece of television history” served as Stephen Colbert’s prime interview location during seasons 6–8 (2010–2012) on Comedy Central’s “The Colbert Report.” On August 17, it heads to auction in Boston. In August 1929, his eyesight failing, Irish novelist James Joyce made a recording of “Anna Livia Plurabelle,” a section of his work-in-progress, Finnegans Wake. At the time, spoken-word recordings — vintage audiobooks, if you will — were creative one-offs, still in the early stages of development and aimed primarily at blind listeners. 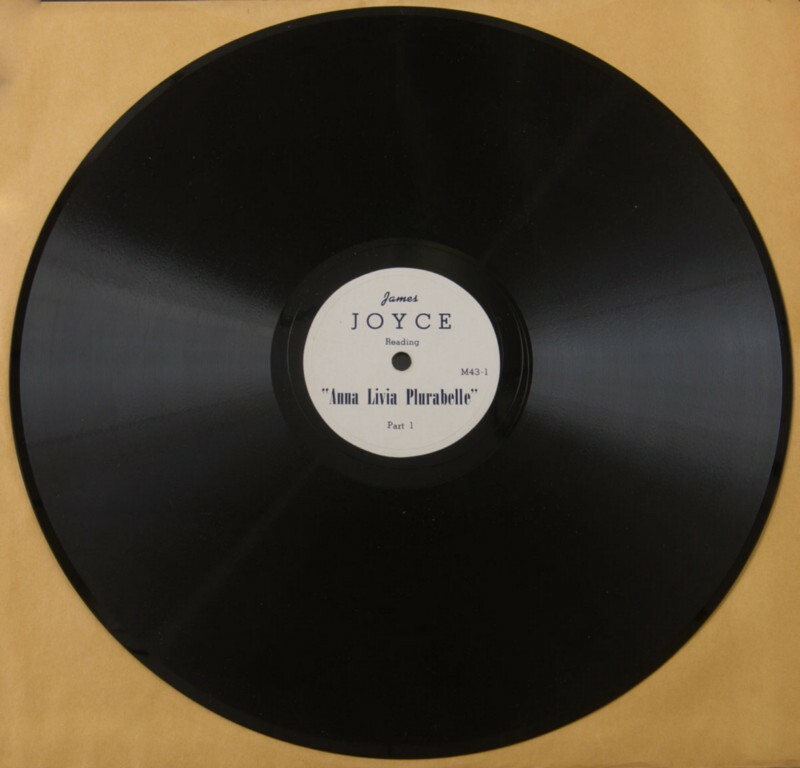 The famous publisher and bookseller Sylvia Beach encouraged Joyce to do it, and the resulting two-sided album documents eight and half minutes of the author’s melodious brogue for posterity (hear it here). In the artsy enclave of Hudson, New York, on August 5, Stair Galleries will offer one of the original LPs for an estimated $200–300. It’s perfect timing too, because we all have record players again.